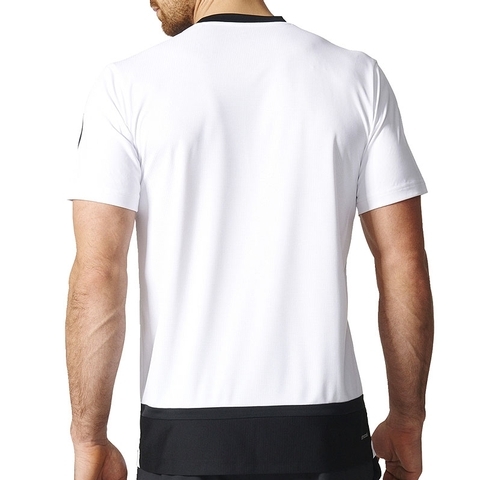 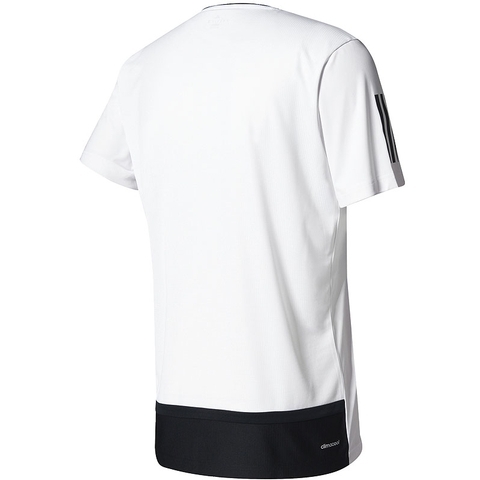 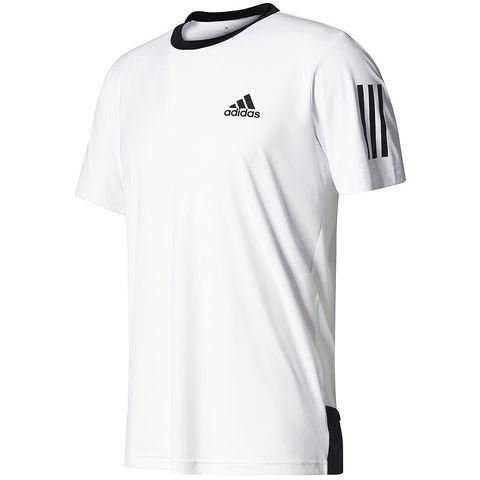 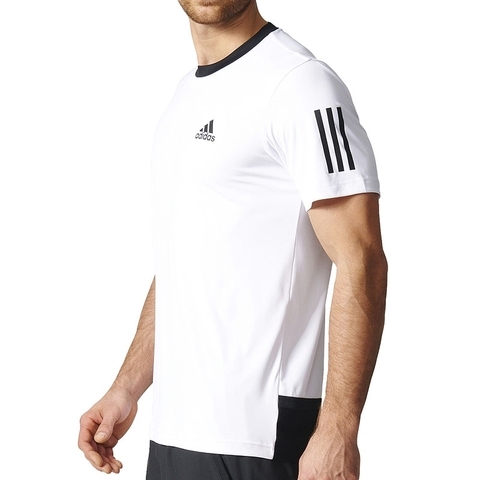 The Adidas Club Men`s Tennis Tee is made with climacool fabric that actively conducts heat and sweat away from the body through a combination of heat and moisture dissipating materials, ventilation channels and 3D fabrics that allow air to circulate close to the skin. 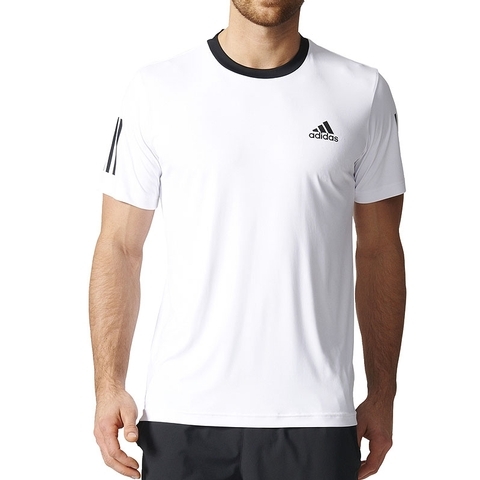 Crew neck with rib collar for maximum comfort when moving on the court. 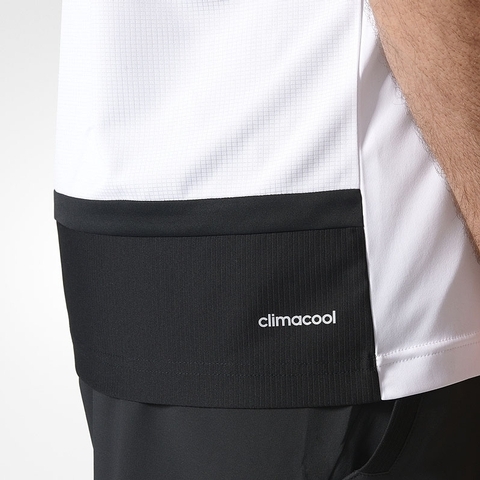 An excellent addition to any athletes wardrobe that is looking to stay cool on the court and focused on the game!